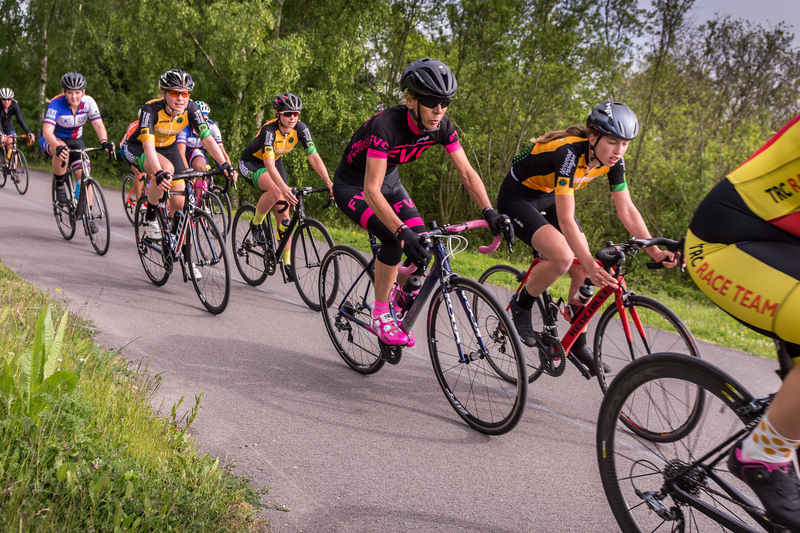 Creating a women’s cycling team. Club. Thing. – Ride. Write. Repeat. 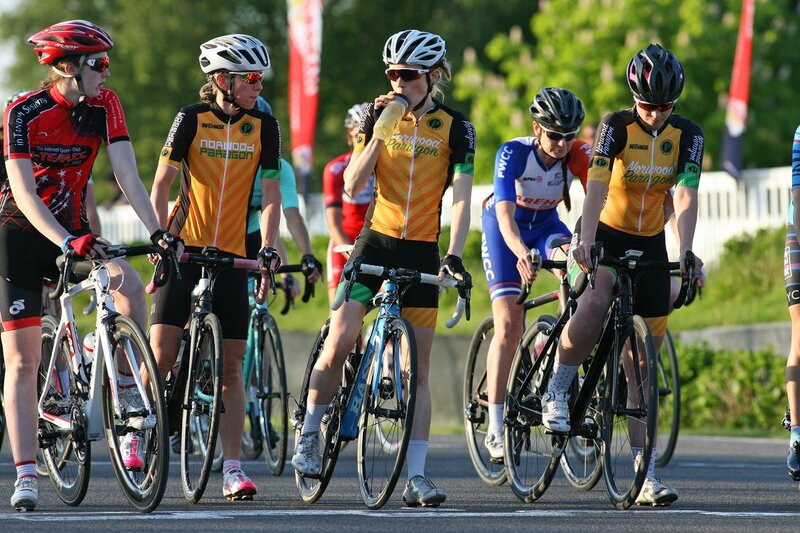 Creating a women’s cycling team. Club. Thing. I’ll begin by pointing out that the decision to have a go at creating a women’s cycling team, or arm of a club, was entirely selfish. Actually it’s something I’ve been vaguely attempting to do for years – but this year, it occurred to me that it I was going to do it, I needed to actually make a concerted effort or I’d continue to roll around the crit circuits of the south on my own for another year. 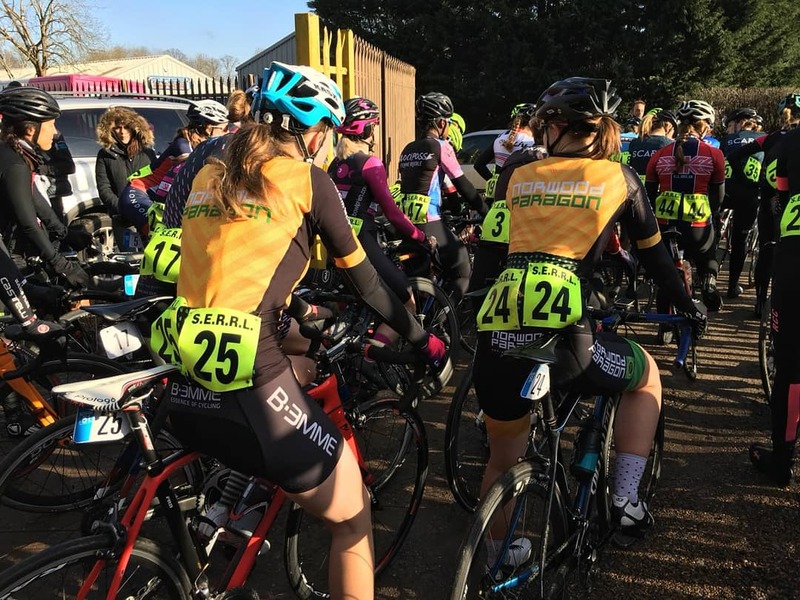 Partially inspired by a number of London clubs that have successfully created a women’s racing community (CC London, I’m looking at you), I was keen to bring to life something similar in Surrey. From where I was standing, it looked like London was well served for female cyclists being able to find a club which would provide them with both support and team mates. 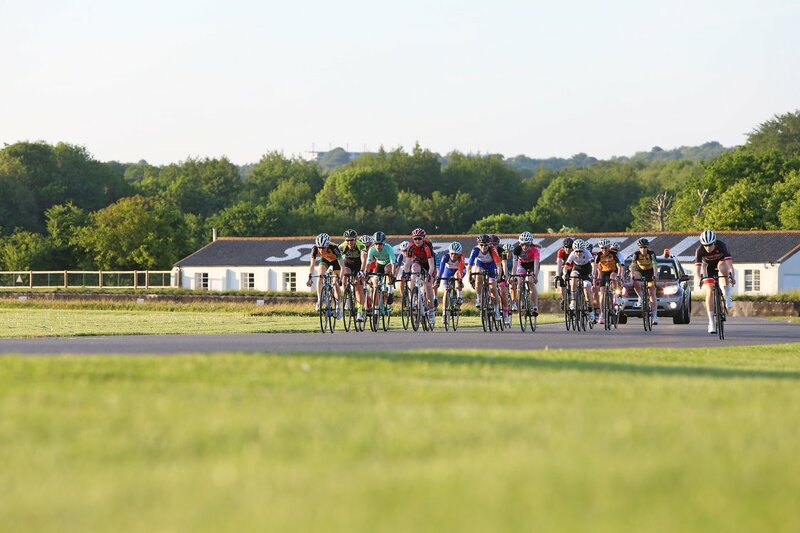 Outside of zone 6 (though hilariously Caterham is actually in zone 6, funny story) – we were all spread out, with one or two female racers in every club. Those lone racers quite often either continue to attend events on their own, perhaps eventually getting bored, or leave and join a sponsored team. 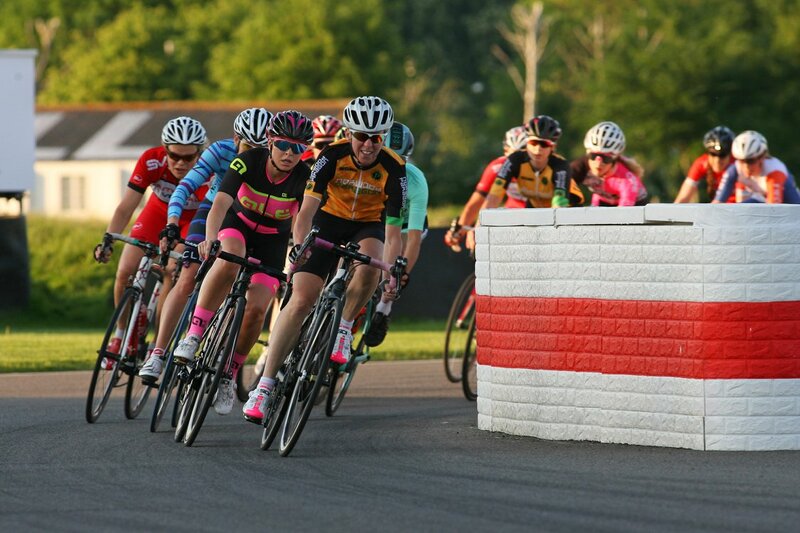 The aim, therefore, was to convince a group of women from the surrounding area that they should all race for the same club – create a welcoming but competitive environment, ideally arriving at a place where we’d be the ‘go to’ club for women in the area due to our ability to offer them like minded team mates. I could have chosen any club to be the launchpad for this initiative. 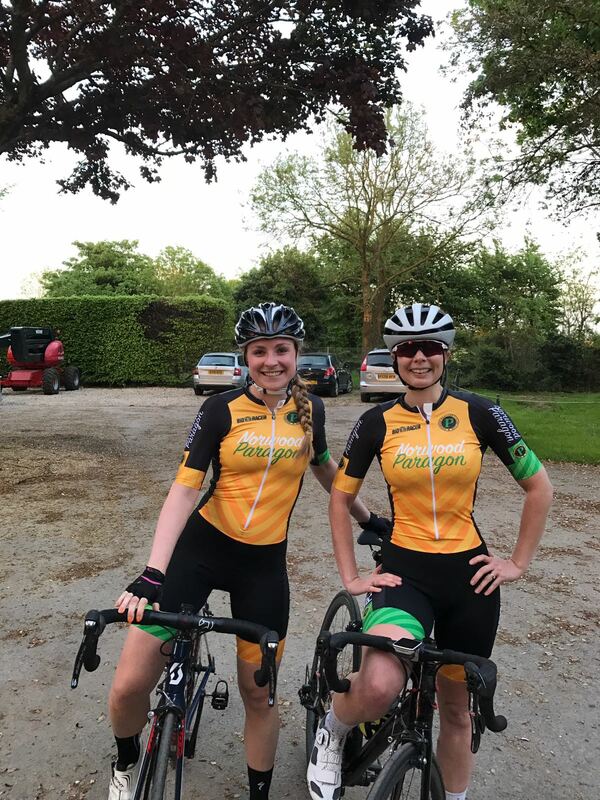 However, having ridden with Norwood Paragon for the past year, I was impressed with the way the existing vet racers had helped to develop me – always offering useful but not patronising advice on club runs as well as training rides that truly tested me. Plus the existing chairman was well and truly on board, noting women’s cycling as the fastest growing segment at present. So the orange and green (sorry… GOLD and green) squad seemed like a decent place to start. The difficulty was that without a group of interested women, I couldn’t ask the club for any support, and without support I had nothing to offer that women didn’t have in their existing clubs. Except an idea. Of course having raced as a loan ranger for several years, I’d met a few others along the way, who I figured might be interested. 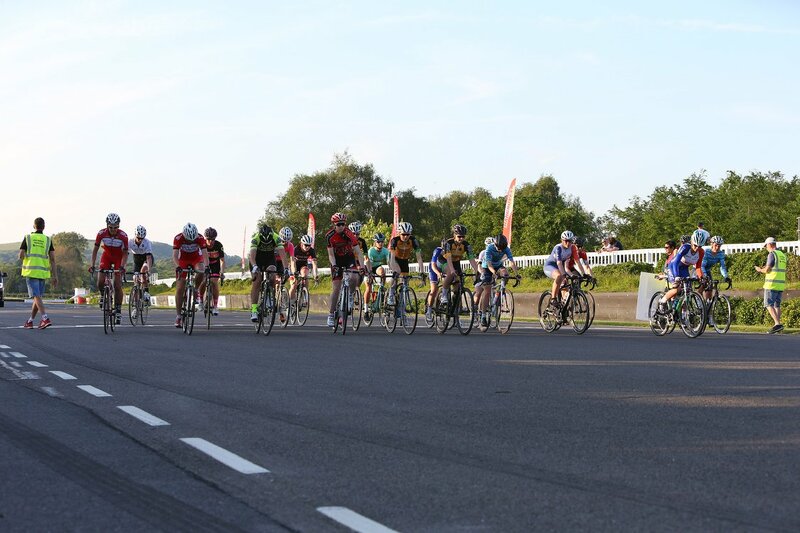 So in early discussions I kept it all pretty figurative – though my first surprise was that most who responded really weren’t fussed about financial support, kit or backing and just wanted to know they’d be joining a group of racing women from the local area. 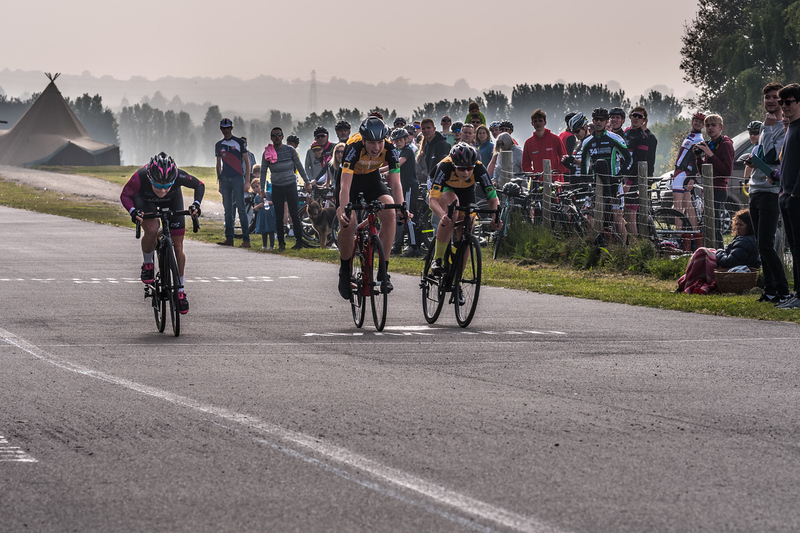 Create a separate Norwood Paragon Women’s Race Team, registering with British Cycling (plus CTT, Surrey League, etcetc) – this would allow us to have our own kit but conflicted with the idea of using the new women’s group to grow the club in all directions and demographics. 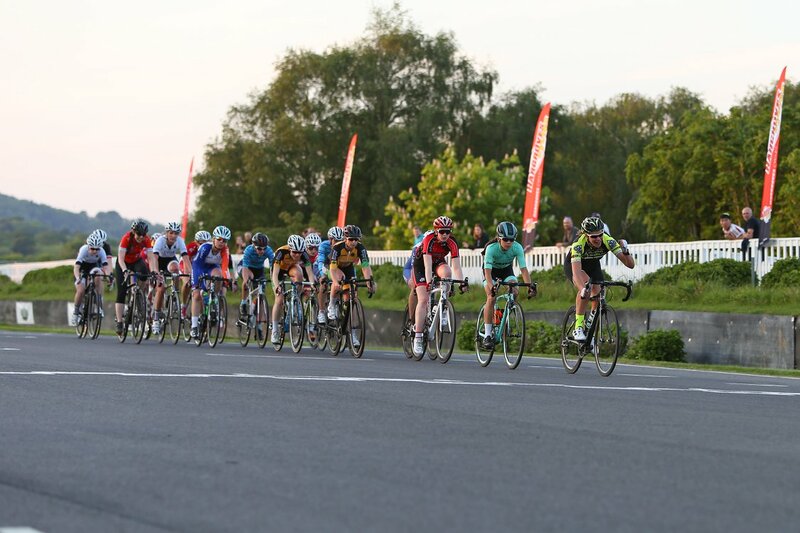 It would mean we’d have to ‘select’ who rides for the club and who rides for the team, and doesn’t encourage integration, rather drawing a clear line in the sand between male racers and female racers. Plus a lot of our potential funding would be eaten up by registration fees with BC/Surrey League/CTT. And actually we’d not be able to race in some leagues since our ‘team’ of sub 10 wouldn’t be able to promote its own races. 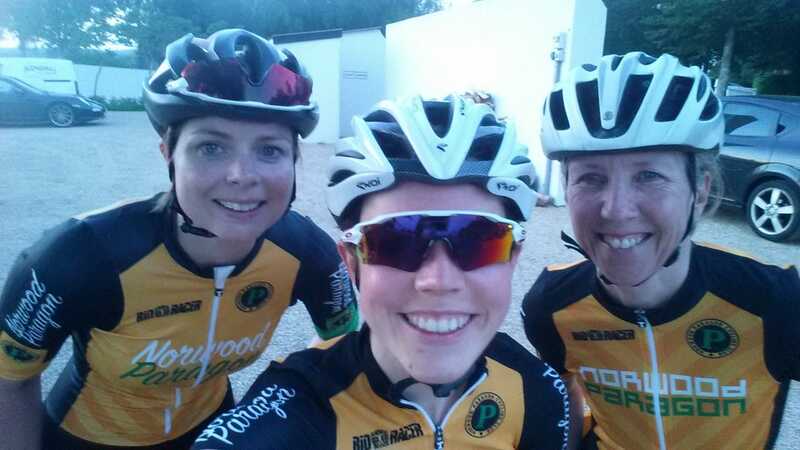 Keep the women’s group within the Norwood Paragon Cycling Cycling Club. This is a bit less “shiny”. 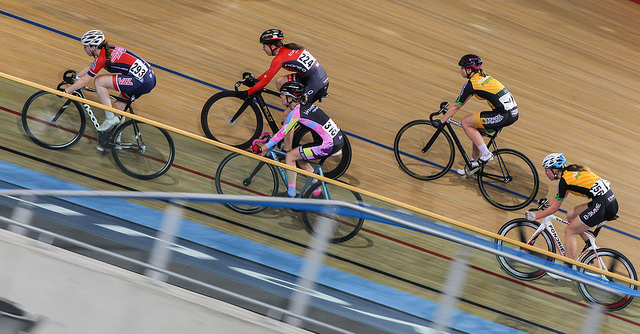 British Cycling allows only one kit per club so this means there’s little we can do to set ourselves apart, and could be less appealing to speedy legged racers who could instead race for a sponsored team with fancy names on the jersey. Despite the negative elements of the ‘Race Team’ idea, that was initially my preference. However, it was deemed highly unlikely that I would be able to gather support from the club this way and option one does not come for free. Not only that, again the women interested in joining were seeking a pressure free environment to race in, alongside other women. So option two it was. Next up was obtaining club support, which involved a short presentation at the AGM. 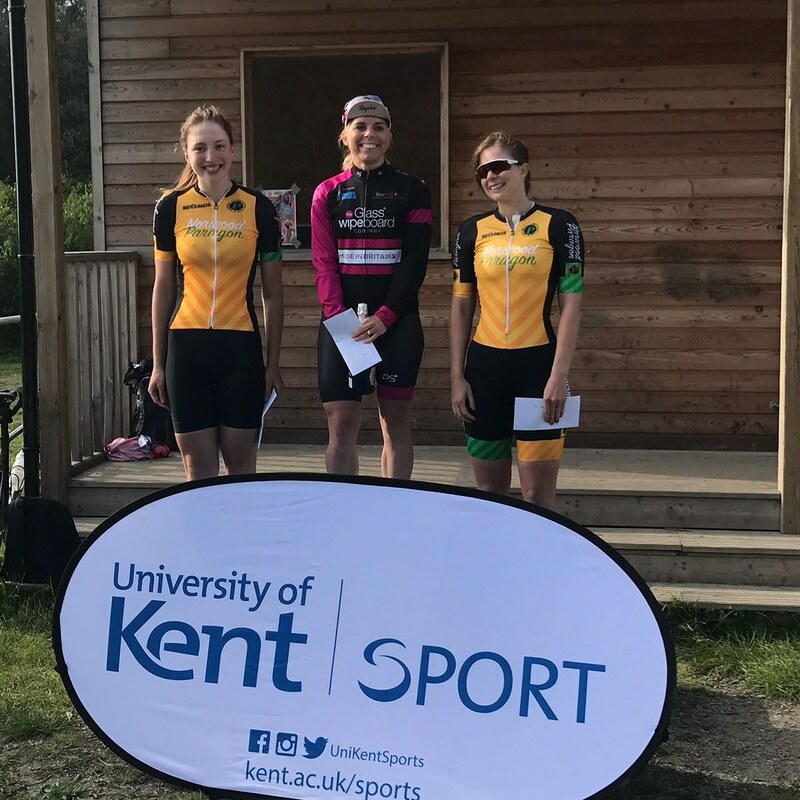 My second surprise: receiving unanimous approval and comments from members that it was “about time we did something for the women.” The actual financial support was not huge – but enough to provide a discount on kit and entry to select races and the intentions were wholehearted. Part of me was a little disappointed that we weren’t able to go full steam ahead with an independent, but attached, ‘Race Team’, but I could also see that the club approach is much more organic, natural and sustainable. As mentioned, the kit had to be almost identical to the standard club kit. Almost. We did take the liberty of adding some small flourishes of femininity, thanks to the hard work of club member Simon Warren. We also added our new tag line #SenzaParagoni – which means “unparalleled or unmatched” in Italian. A little bit of impetus to help us push when in the bunch. By this point we had seven women, so the measuring of chest, waist and hips in order to select sizes process was by no means quick. There are few women who actually fit into the size chart mould perfectly, but that’s a whole other industry question; I don’t see cycling brands adopting the Bravissimo/Pepperberry sizing convention of ‘curvy’/’very curvy’/’super curvy’ any time soon. 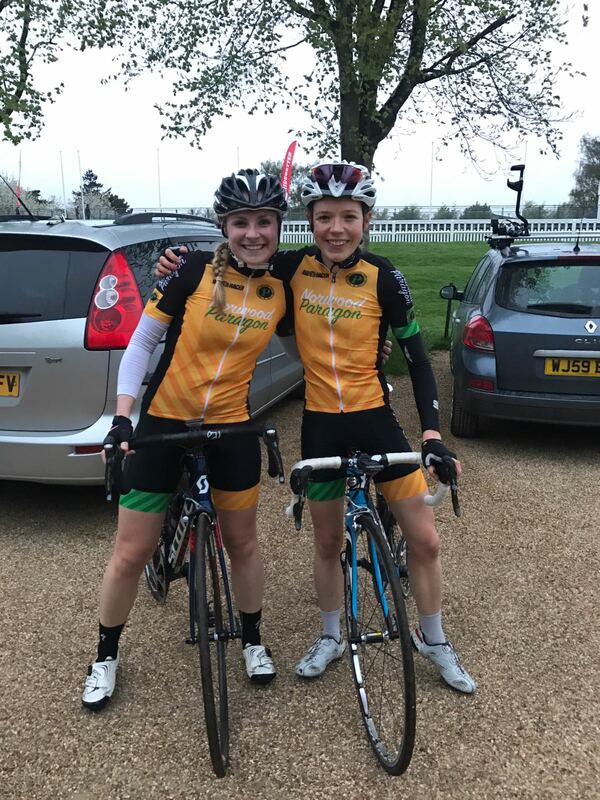 The kit order was made easier by Bioracer, who have no minimum order quantity – which means we could select a small number of speedsuits and skinsuits without having to pay an insurmountable fee for doing so. Step five is the present challenge. Organising your own calendar is one thing. Organising the calendars of seven riders in an attempt to create co-ordinated orange and green (sorry, GOLD and green) trains across the country is quite another. However, we’re getting there – mostly thanks to enthusiasm, new found friendship – and a fairly detailed Google docs calendar. This whole process has been a learning curve, and a little bit of a journey. There’s probably still a lot to learn before the end of the season. But going to the races with ‘da crew’ (even if I do look like I’ve got proper middle age spread in that photo!) is 100% worth it. Cliche as it may be, team work does make the dream work, and I’m so pleased to have these girls by my side.